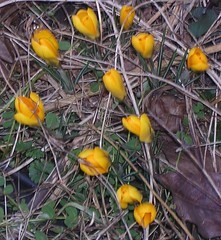 The crocus are up. I swear, they were not this bold when I left this morning. 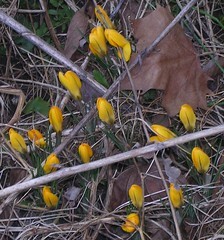 With tomorrow's gorgeous weather, I expect them to be in full bloom. Then the first day of spring arrives, on Saturday with a prediction of rain turning to snow. I said something at the beginning of the month about March going out like a lion.